Paradox have far more DLC in store for all their big games, including Crusader Kings II, Hearts of Iron IV, and Europa Universalis IV. Major expansions are in line for all three grand strategy titles, and they’re all due for launch this year. 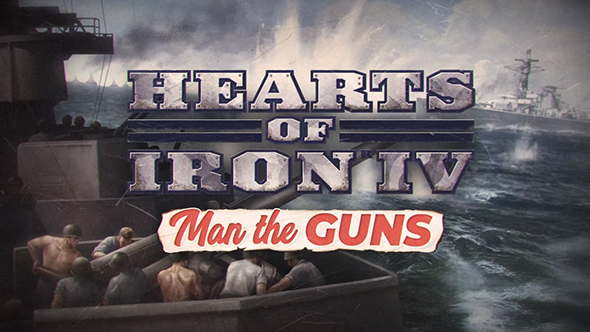 Hearts of Iron IV’s expansion is Man the Guns, which expands the game’s naval options with more detailed warship customization, letting you refit old ships or upgrade your fleet with better armour and heavier guns. You’ll also get new democratic options, widening the possibilities when you’re commanding the US or other democracies. Holy Fury is the next big DLC for Crusader Kings II, bringing a new focus on the wars between the Christians and the Pagans of the North. Pagan nations will have new religious options, including the option to design the tenets behind your own Reformed Paganism. You’ll also have the option to start campaigns on random maps, take advantage of your ancestors’ legacies with legendary bloodlines, and enjoy a wide variety of other new religious and campaign options. Finally, Europa Universalis IV takes the focus to India with the Dharma expansion, which brings a big emphasis on peacetime interactions, especially in South Asia. You’ll be able to design your government, unlocking reforms to help you shape the future of your nation, letting you customize your own style of rule and see a greater variety of governance systems all around. Each of these DLC packs is priced at $19.99, and all are scheduled for release this year. Each game will also see its usual free update accompanying the paid expansion, granting expanded features even if you’re not buying the DLC.